Yay! 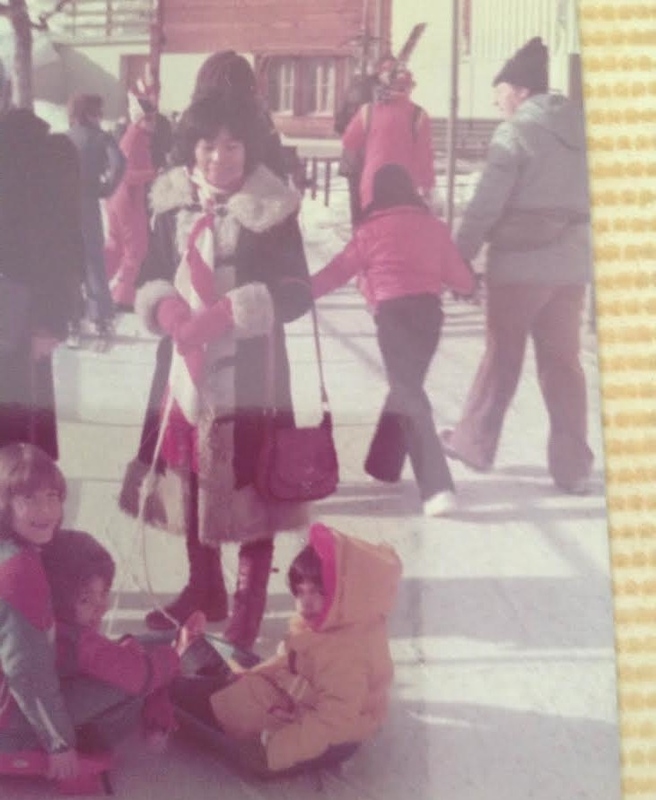 Mom was able to find a couple photos of her in the blue coat (and that’s me in the yellow parka). I wish they were a little more focused, but they’ll do. I’m guessing these were taken in Germany, or perhaps Switzerland. I’m liking her boots, the leather purse and that candy-cane scarf. 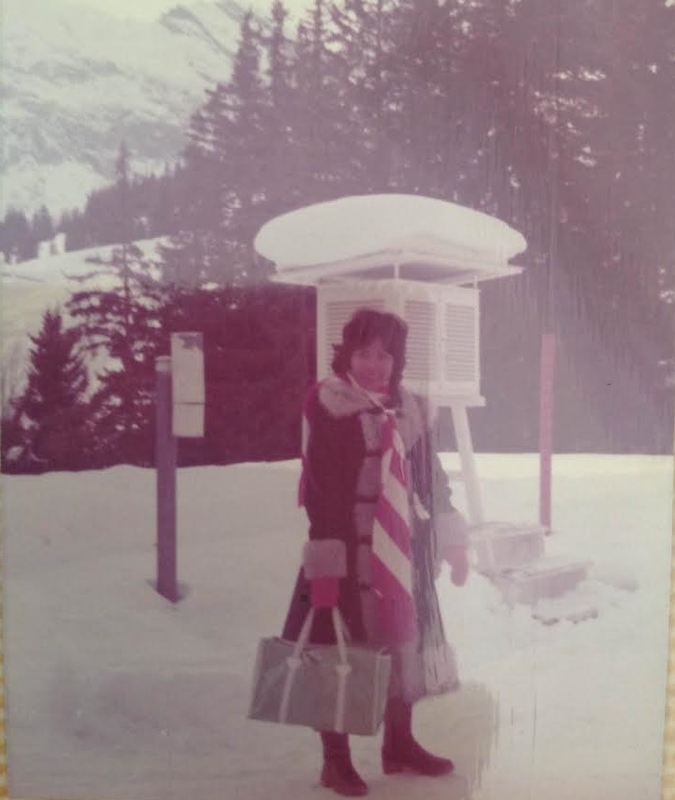 I may have to do a blog post about my mom and her 60s/70s fashions. The next time I go to Hawaii, I’ll dig through our old albums and see what I can come up with. Re-posting the shot of me for comparison. This entry was posted in Other and tagged 70s, 70s Style, Blue Coat, Coat, Fashion, Style, Vintage, Vintage Coat, Winter Coat. Bookmark the permalink. I LOVE old photographs. I had a groovy picture of my grandma and father from 1972 as my FB profile pic for the longest time. Apparently the update got back to my grandma and she simply cried when she saw it. My mom and I found the photo in Thailand, of all places, at her family’s house, and that’s why I have it. 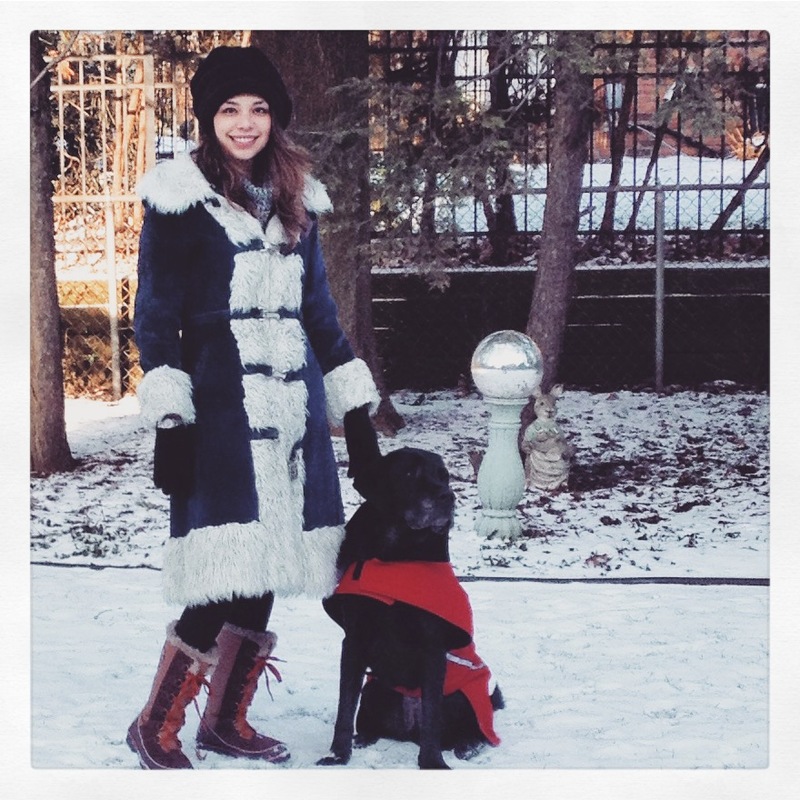 So awesome to see your Mom in “the” coat…….love it!!!! !